The P.A.R. Checklist gives you 14 best practices to analyze the key areas that matter most to your customers. Each element also provides simple suggestions to improve. PERFORMANCE – You need to be fast. Even a slight delay may result in a lost customer. Forever. AESTHETICS – Your key pages need to be beautiful and focused on selling. Download the P.A.R. 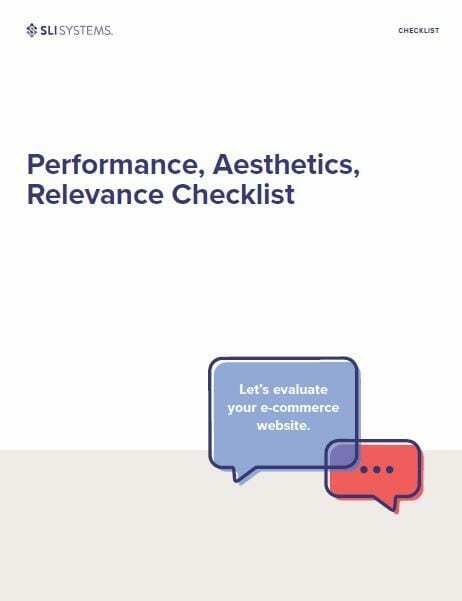 Checklist to evaluate your own e-commerce website. Find out if your e-commerce site is up to P.A.R. Is the Performance, Aesthetics, and Relevance of your site delivering the most revenue? These successful E-commerce companies are already using SLI Systems AI based product discovery solutions to optimize revenue, transaction volume, and customer retention. Want to see SLI Systems in action? Request a demo today.